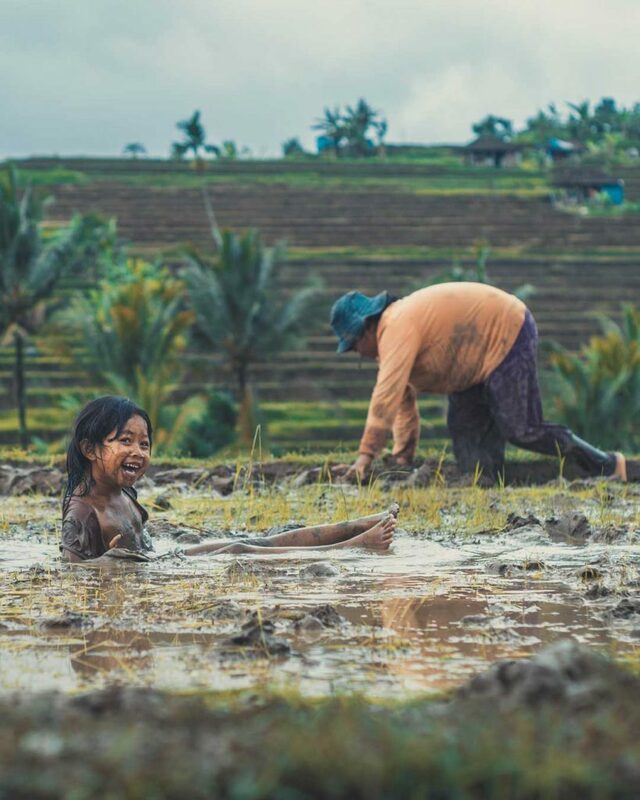 Do you know Bali is one of beautiful island in Indonesia and as usually being called “The Island of Gods”? 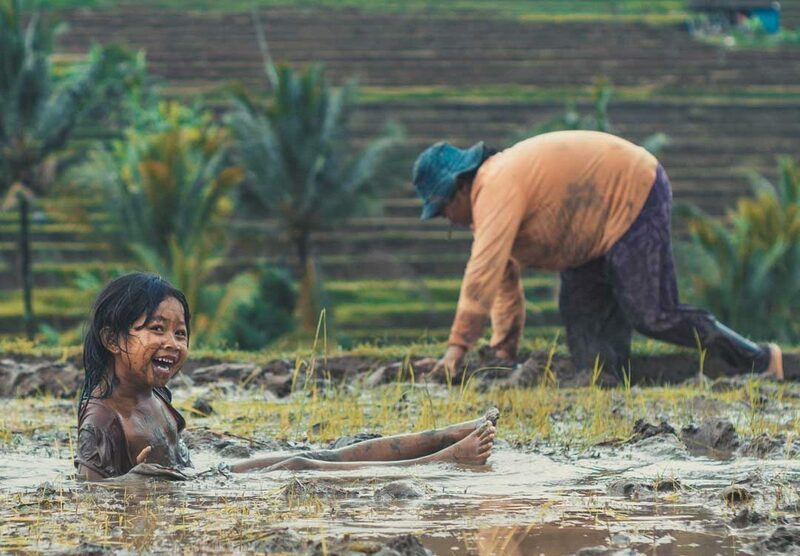 It is because Bali rich with culture and tradition. 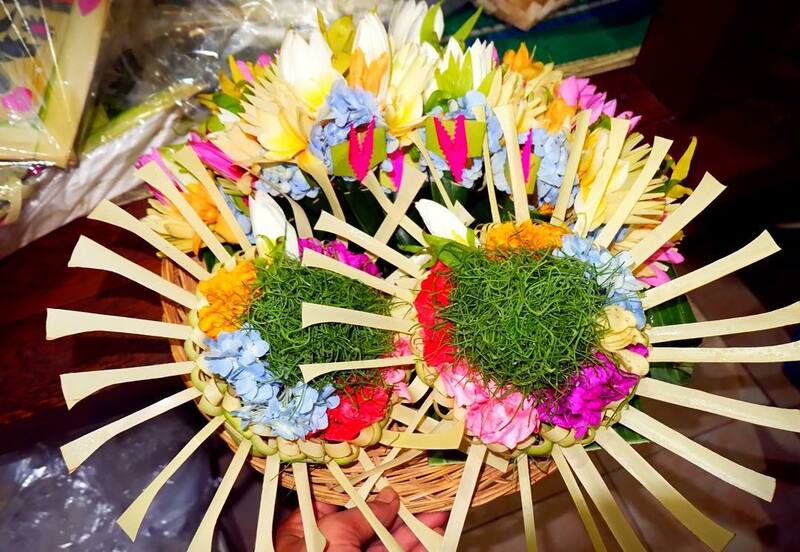 So if you are holiday in Bali, it is common thing to see small palm leaf-basket box with a combination of colorful flower everywhere that Balinese belief sacred. It called Canang Sari or Banten. We used Canang Sari as daily offerings and as an expression of gratitude to Sang Hyang Widhi Wasa in praise and prayer. Canang Sari derived from Balinese words, canang it means “a small palm-leaf basket as the tray” and Sari means “essence”. 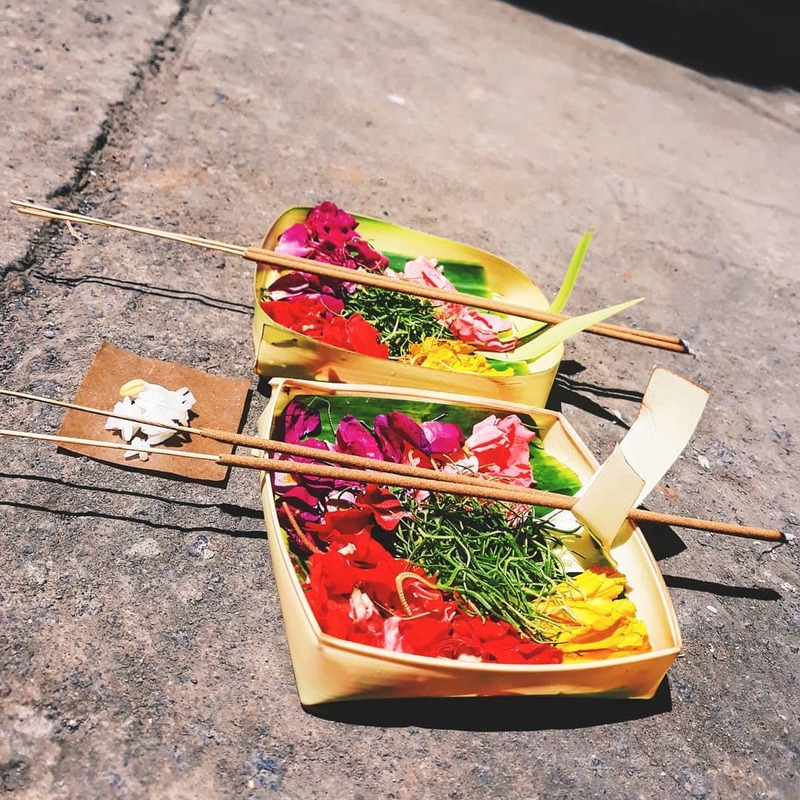 Rice or wija symbolize as Sang Hyang Atma (spirit) that make a body be alive and also as a seed in the beginning of life from Ida Sang Hyang Widhi Wasa. 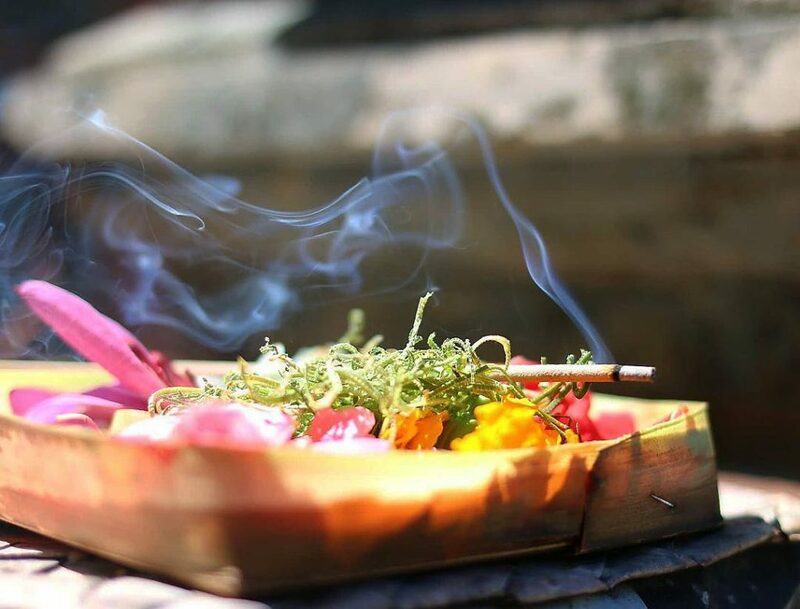 Porosan is betel leaf as symbolized of Tri-Premana mind, word, and action also symbolized of Trimurti (siwa, wisnu and brahma). Porosan have a meaning that human should have a heart (poros) with full of love, compassion and gratitude to God. Snack, Cane, and Banana are symbolize power of Upetti, Stiti, dan Pralinan life in the universe. Sampian Uras as symbolized wheel of life with eight characteristic (astaa iswaryanya) that accompanies every human life. 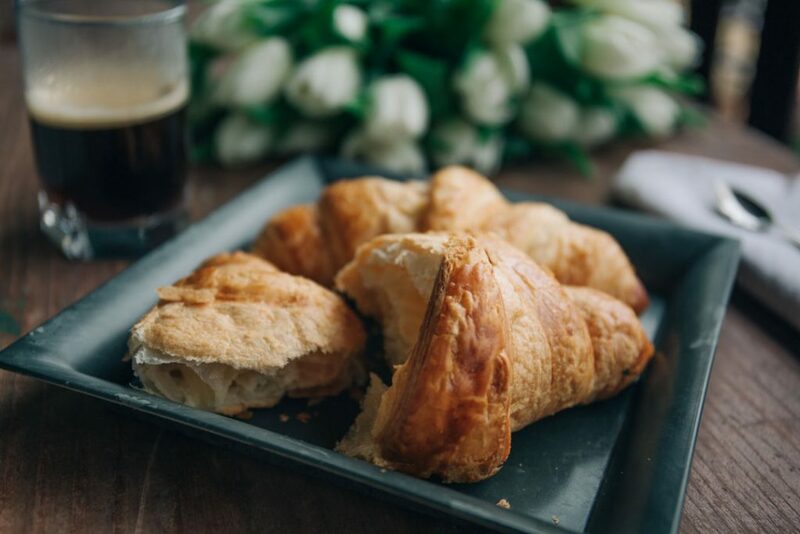 Flowers as symbolize of peacefulness and sincerity. 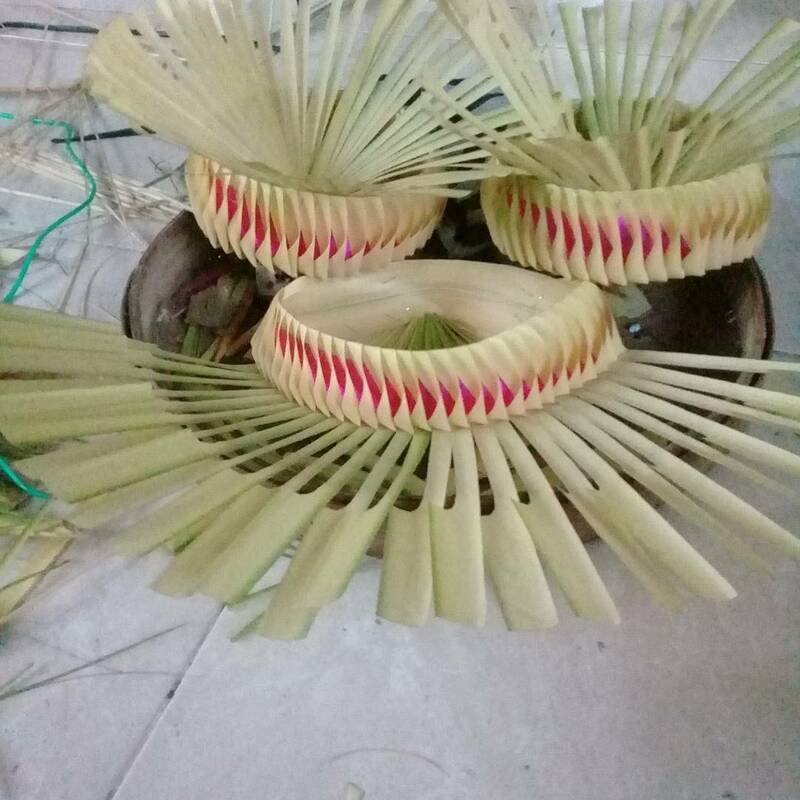 Each color of flowers on the Canang has meaning and sorted. White flower: arranged in the East as a symbol of the power of Sang Hyang Iswara. Red flower: arranged in the South as a symbol of the power of Sang Hyang Brahma. Yellow flower: arranged in the West as a symbol of the power of Sang Hyang Mahadewa. 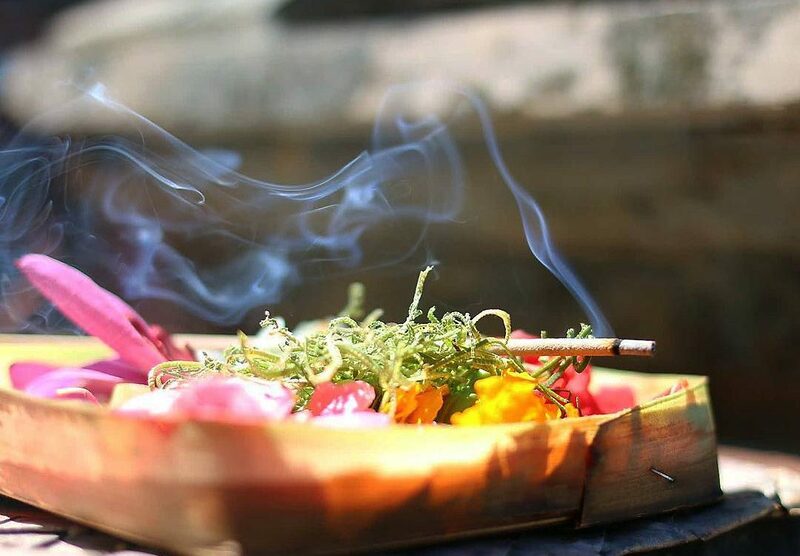 Rampai Flower lay on above the flowers and symbolize as wisdom. Various kinds of flowers symbolize that in human life not always happy or sad. 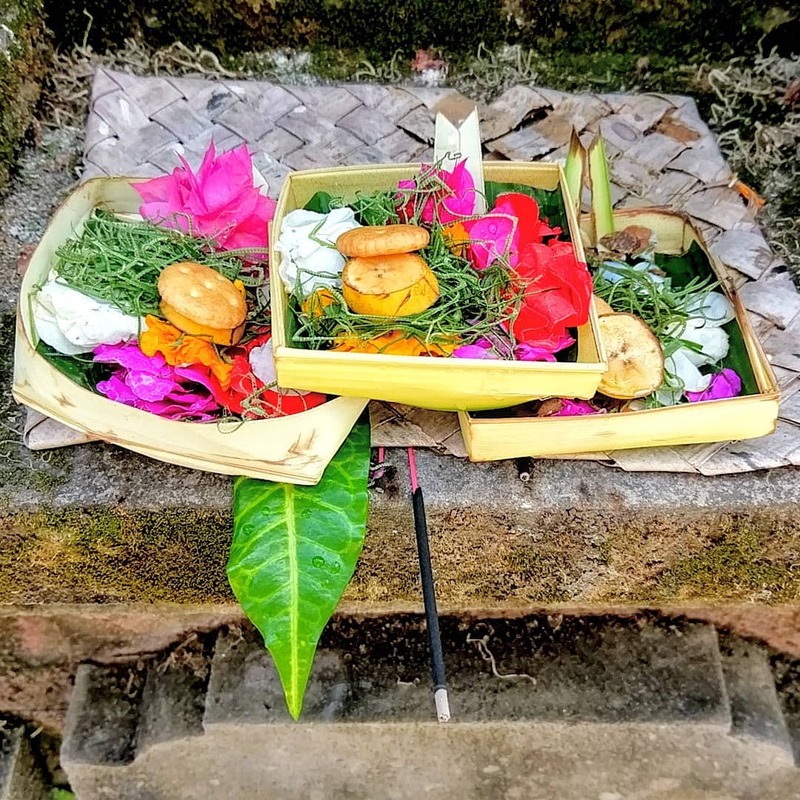 Even for daily offering, if someone death in the family or around village, Canang Sari not used. Canang sari is also used on certain days, such as: Kliwon, Purnama, and Tilem. Normally, Canang Sari stays for one night after it is being prayed and offered before it is being removed to be replaced with the new one. 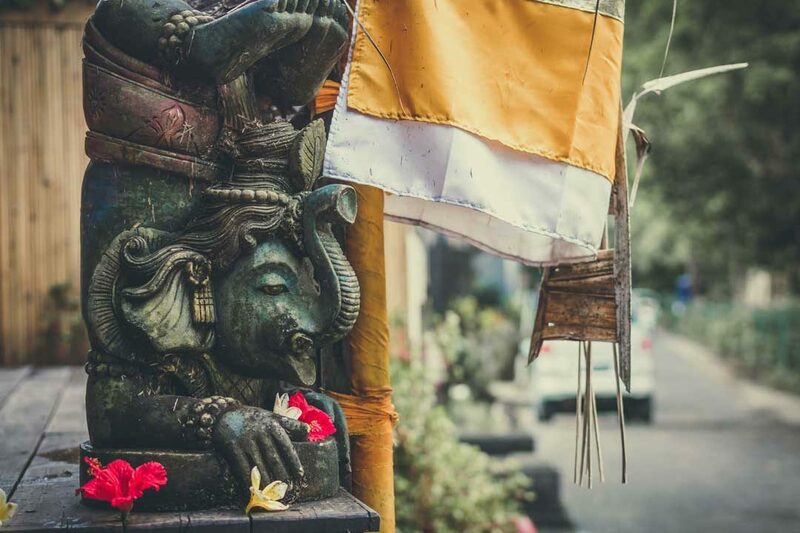 Here are tips for you that on holiday in Bali, if you see Canang Sari on the ground when you are walking around the street, do not step over or step on it because it is considered as not respecting the culture and the religion. Overall, the purpose use Canang Sari to make the world balance that means between Gods, human and nature.